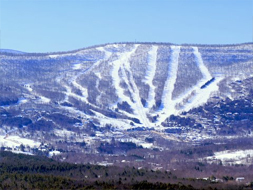 Brainard Ridge Realty offers a portfolio of choice property listings, land offerings, re-sale opportunities for homes and real estate in the Windham Mountain New York area. Brainard Ridge is the developer and exclusive agent for luxury, slope side properties, including Whisper Creek Club Condominiums, The Enclave Club Condominiums, Townhomes at Windham Mountain, and Upper Wipeout Slopeside home sites. We’ve designed and built some of the finest homes in the Catskill Mountain region by bringing together and working closely with discerning owners, masterful architects and experts in the design and construction of timber frame and log homes. 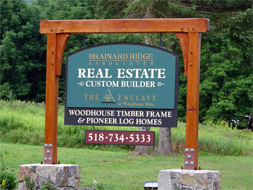 Brainard Ridge Associates has formed partnerships with some of the most respected names in the timber frame and log home industry in Windham, and work closely with the management team at one of New York’s favorite ski resorts at Windham Mountain.